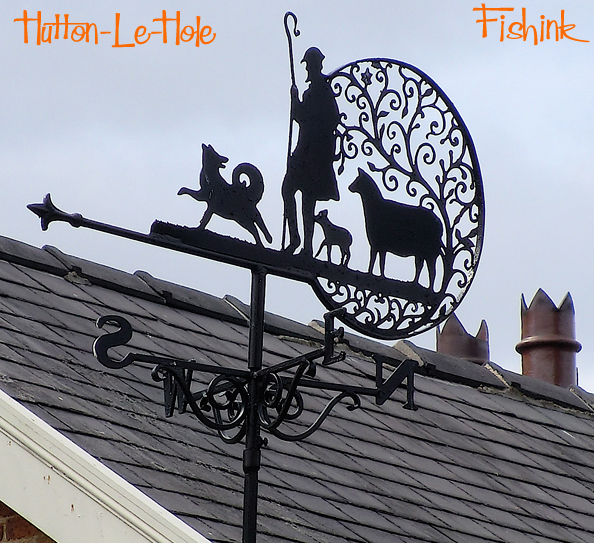 Continuing on from my recent trip to North Yorkshire, I visited the most charming village of Hutton-le-Hole. This is one of the most popular beauty spots in the North York Moors. 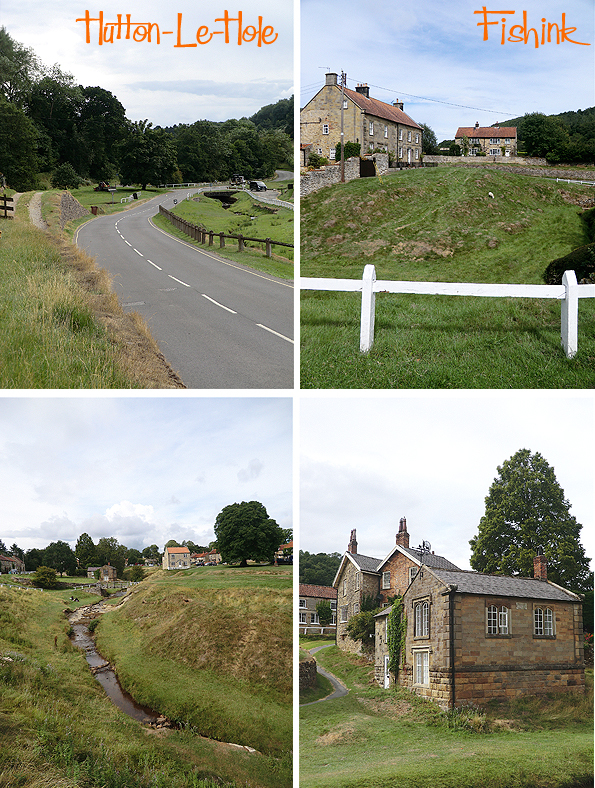 The village is known for its long, winding village green with a stream running down the middle and foot bridges crossing the stream. The first written record of a settlement comes from the Domesday Book, where a village called Hoton is recorded. It was a small village even then, with 8 carucates of land, enough to support 8 families. 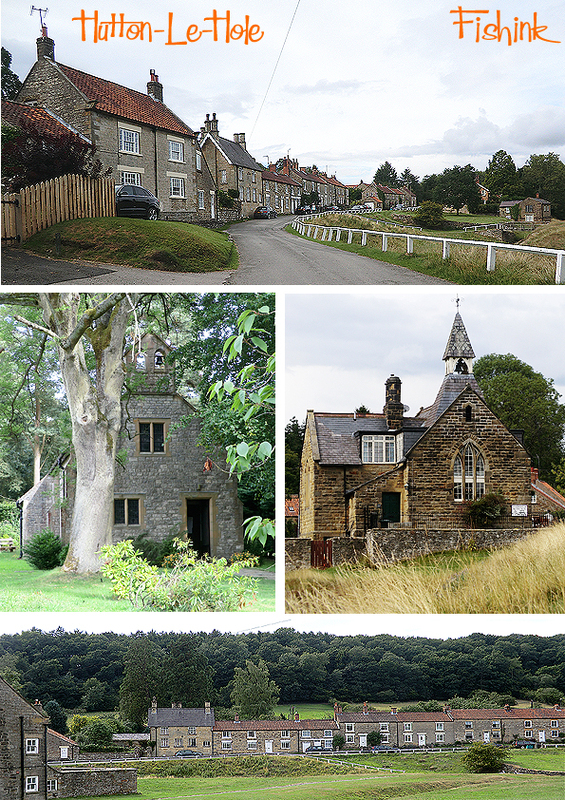 The village name was transformed over the medieval period, from Hedge-Hoton to Hoton under Heg, to Hewton, and then in the 17th century Hutton in the Hole. 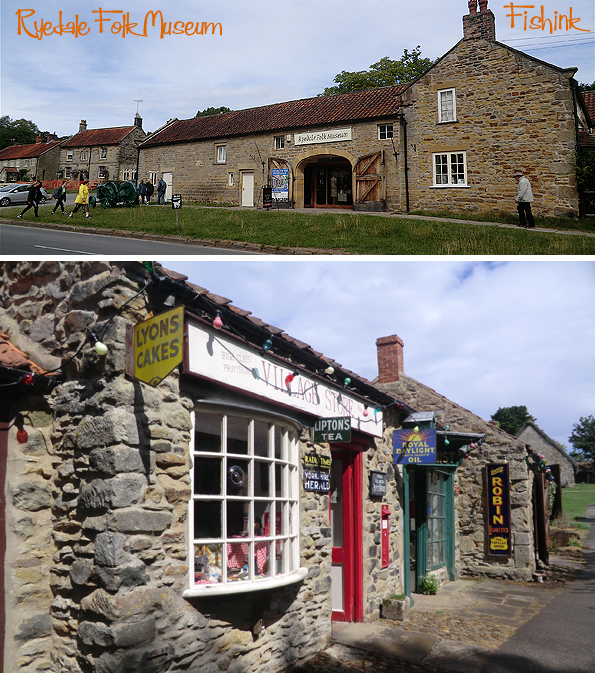 The present name Hutton-le-Hole only appeared in the 19th century. But what does the peculiar name mean? Several theories have been put forward, but the most likely is that ‘Hole’ refers to burial mounds. Several ancient burial mounds can be found around nearby Barmoor, so it seems plausible that the name simply means ‘the place near the burial mounds’. 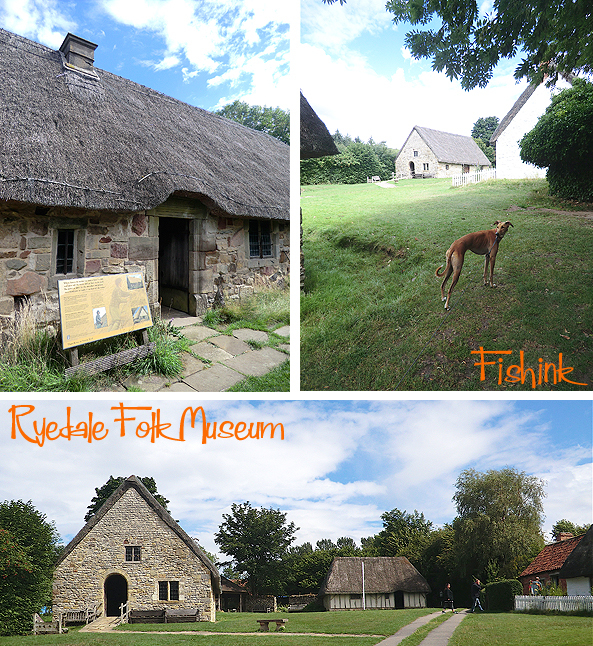 The Ryedale Folk Museum contains 13 rescued and reconstructed historic buildings, including an Iron Age round house, 1950’s period shops, thatched cottages, an Elizabethan manor house, barns and workshops. 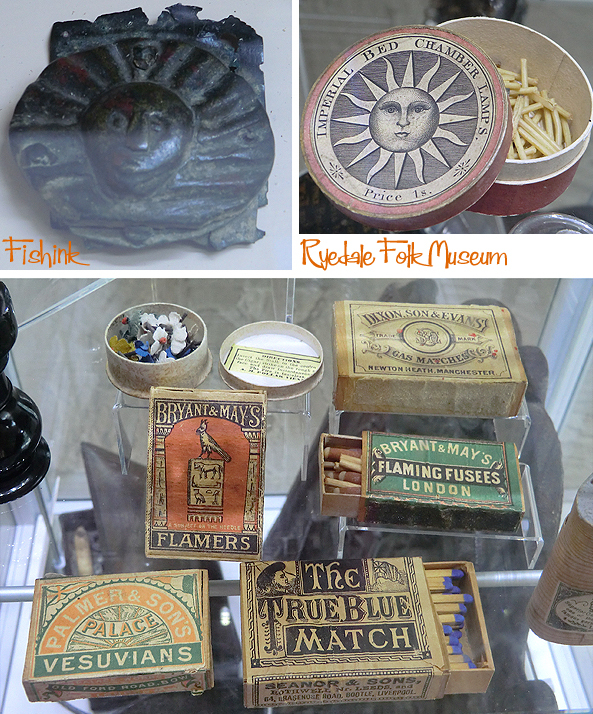 I was looking forward to exploring it’s vintage memorabilia, and it didn’t let me down. 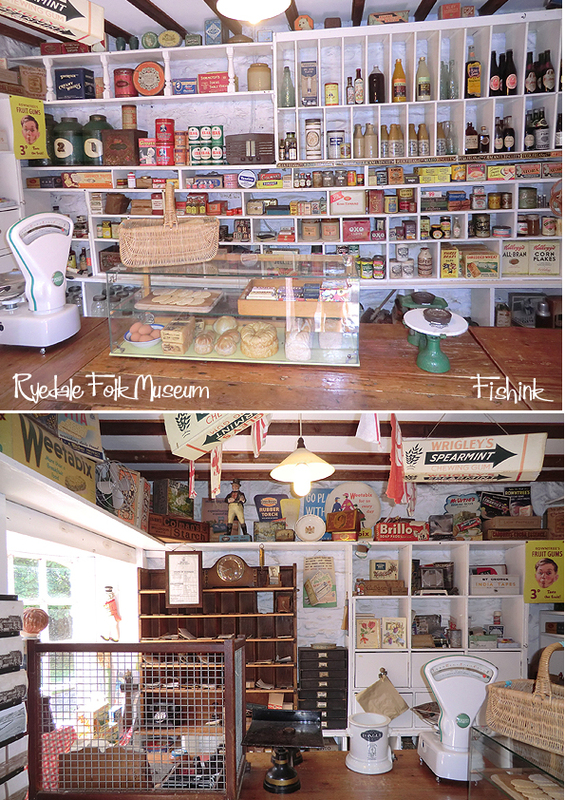 This was certainly one of the highlights, a perfectly constructed 1950’s Post Office and shop. 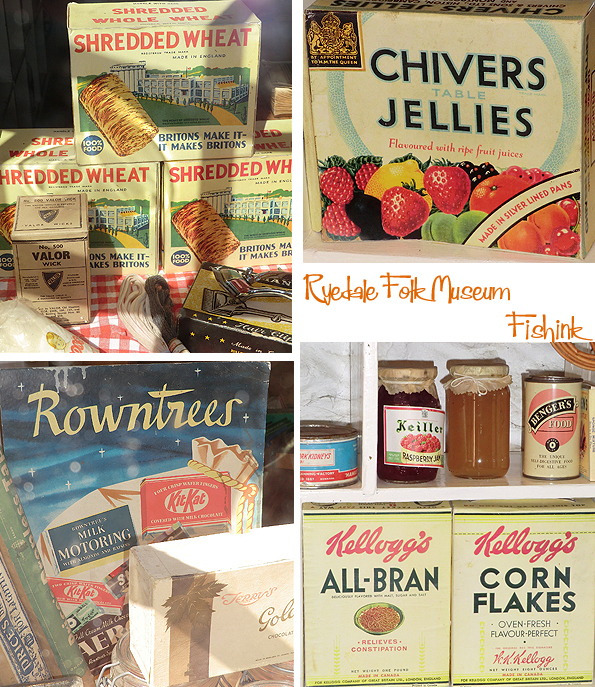 Complete with numerous items of fifties packaging. There’s an old radio playing popular tunes of the time and the whole experience was like a time travel to a period before I was even born. 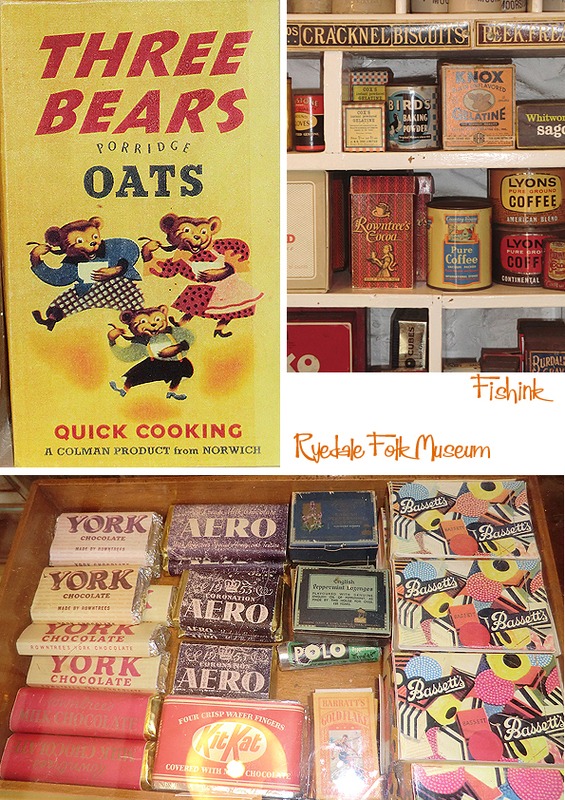 Look at this fun packaging and advertising. Ok some of the designs were a bit lack lustre… kelloggs have thankfully developed their design quite a bit from these dull boxes. But on the whole it was bright, smiling and upbeat. 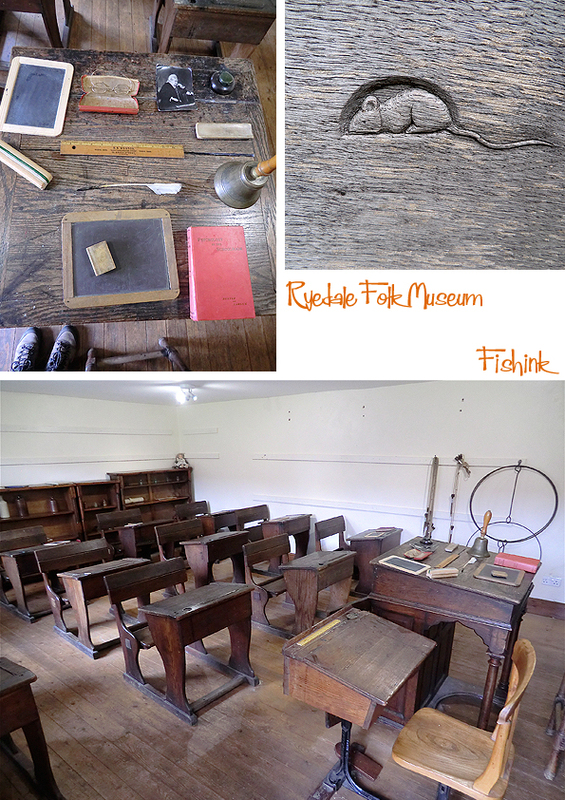 Even an old school room. 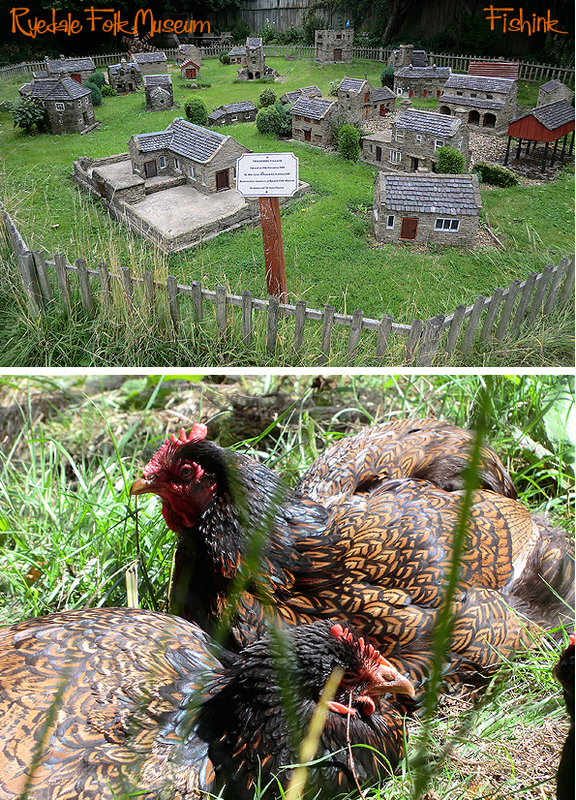 A scaled down village and some of the local farm residents. Boo wondered what the pigs were up to. The Iron Age roundhouse is a reconstruction of what a typical North York Moors roundhouse might have been like. It provides an atmospheric idea of how Iron Age people might have lived, from its central fireplace, simple beds, weaving loom and other domestic items such as quern stones. There’s a small orchard with an impressive selection of fruiting trees. The Manor House is often considered to be one of the most impressive buildings. Its simple cruck-framed construction creates a magnificent open space inside. 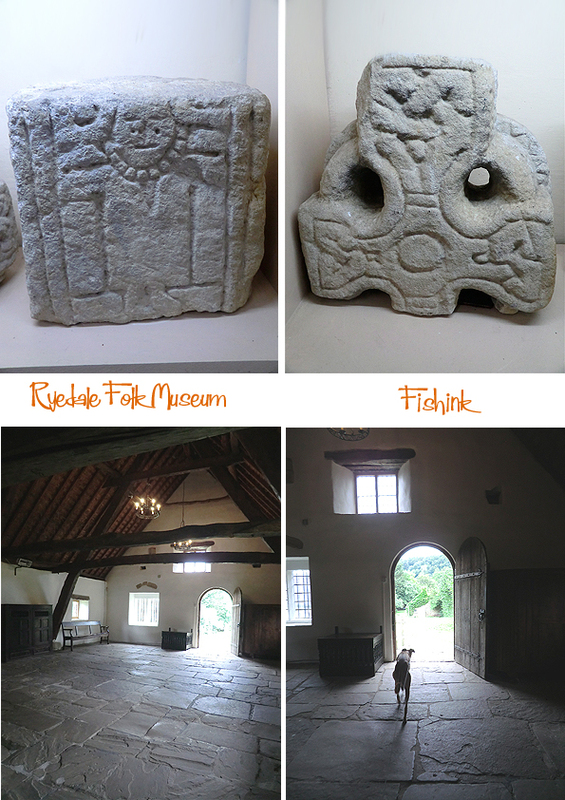 Originally built in the late 16th century, it was moved from the nearby village of Harome by volunteers, and rebuilt at the Museum in 1971. You can get a sense of the scale and majesty of a Manor House. 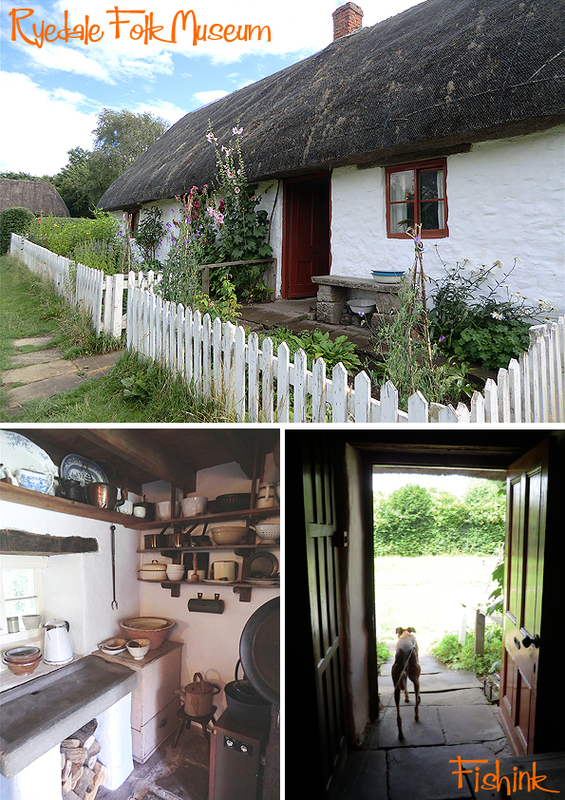 There’s also an 18th Century thatched cottage, a Victorian thatched cottage and a Medieval crofters cottage too. All set up to look like the inhabitants have just popped out for some firewood or cooking herbs. 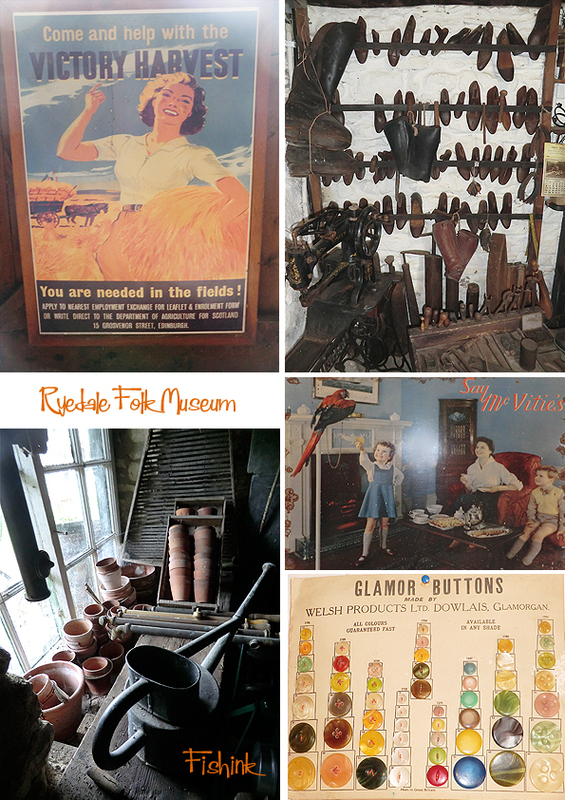 Also an impressive collection of farm machinery and artefacts from different time periods. 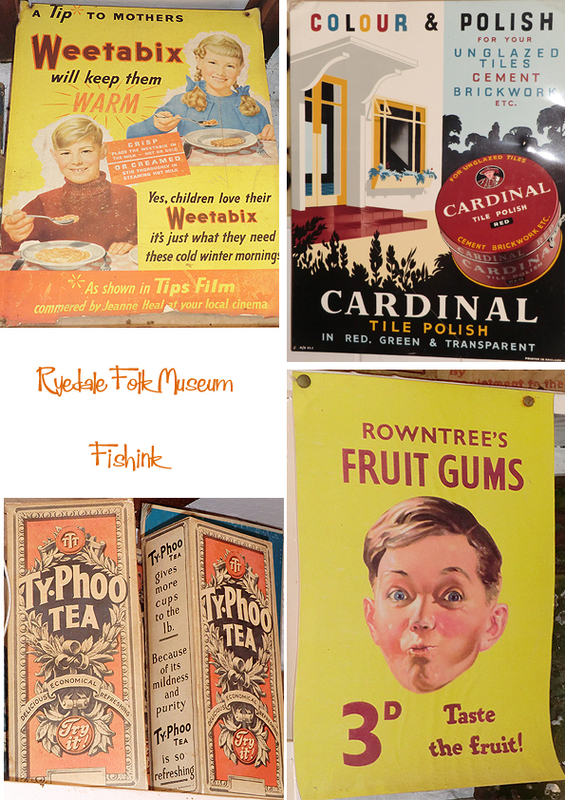 Ryedale Folk Museum is home to The Harrison Collection. 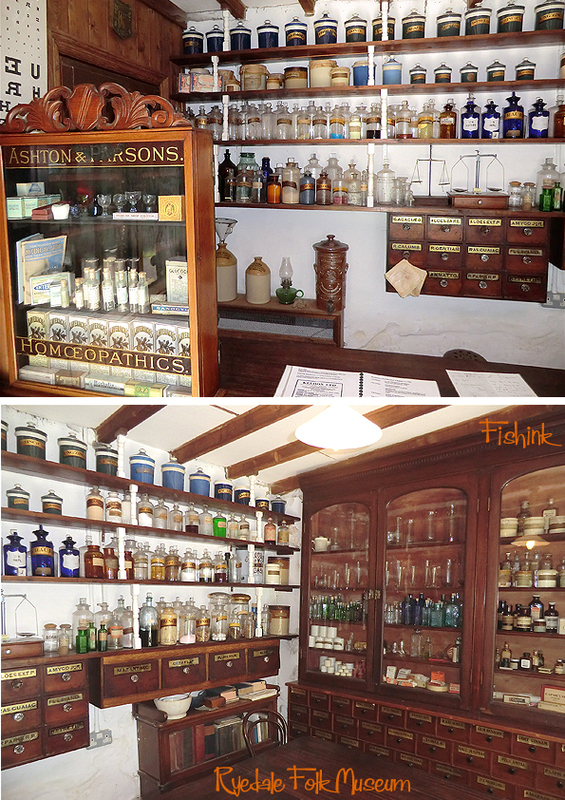 Amassed by local brothers Edward and Richard Harrison over the last sixty years, the collection includes antiques and rare curiosities spanning five centuries of British history. It covers everything from cooking pots to brain surgery tools. 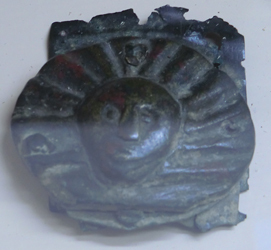 Around half of the collection is on display at the Museum in a dedicated building and exhibition space, which opened in 2012… I liked this metal Roman Sun Buckle below. 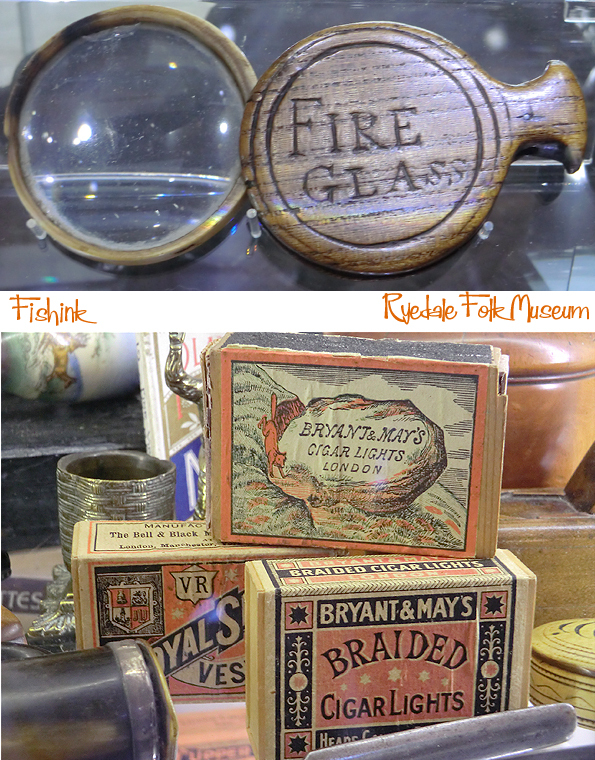 And the lettering on this Magnifying glass too. 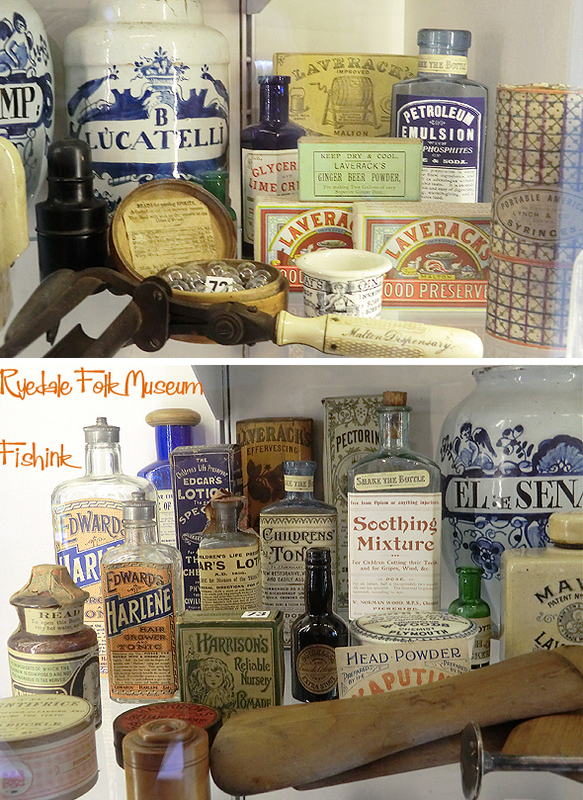 Painted bottles, glass bottles and great labels. These lovely wooden pieces. “When this you see, pray think on me…” is a carved poem to remind a loved one that he is thinking of her. 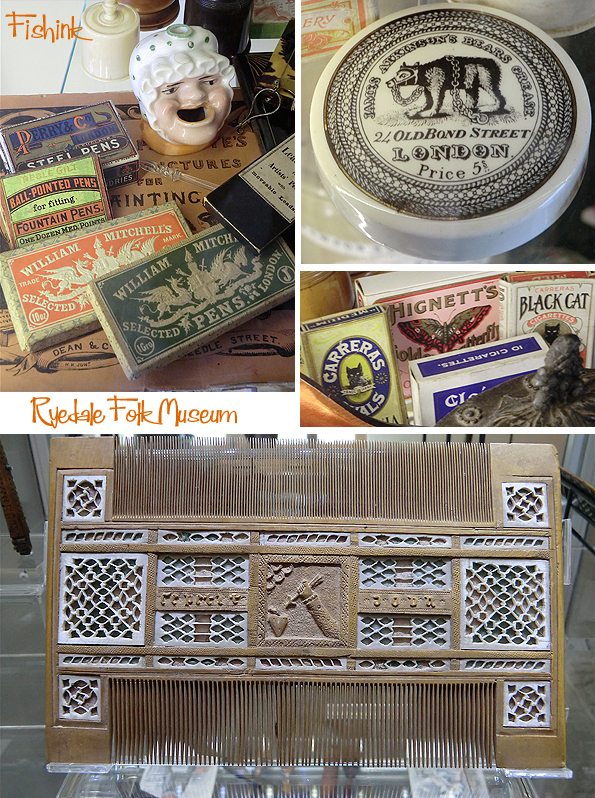 A large gingerbread mould and an amazingly intricate wooden comb.. imagine carving all those teeth ! 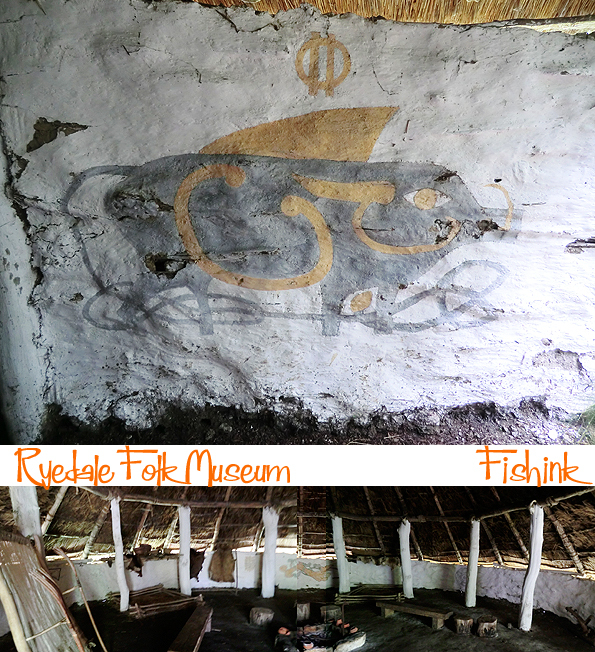 The RyedaleFolk Museum from February to December and is about £8 for an adult ticket which you can use again for up to a year. Dogs on leads are also welcome, thankfully. The kind lady on the ticket desk also sometimes gives out dog biscuits too ! Woof and well worth a visit. 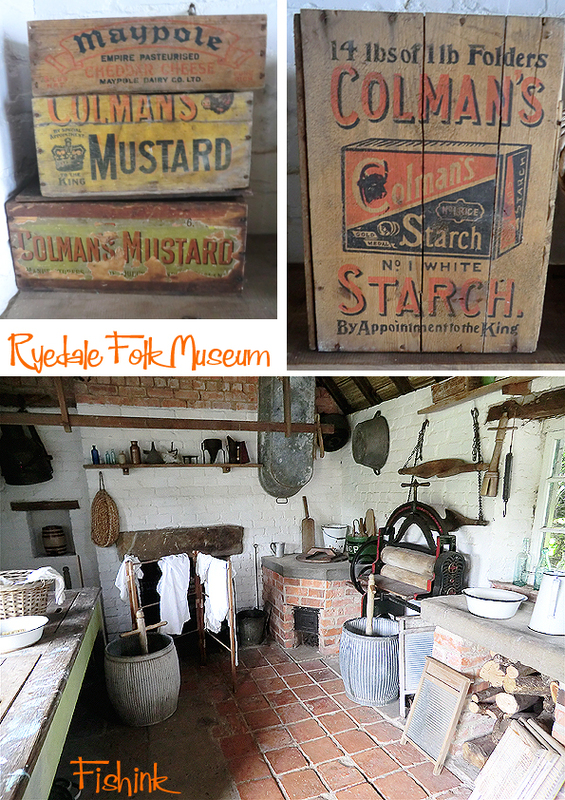 What a wonderful opportunity to see so many everyday items in so many time periods. Thanks for sharing these with us. My pleasure Mary Anne, thanks for your comment too. Thanks you for sharing your discoveries! It’s really interesting! Always a pleasure to see your posts. Excellent photos! Thanks for taking the time to share. Thanks for writing about this! It’s going on my list of places to visit. 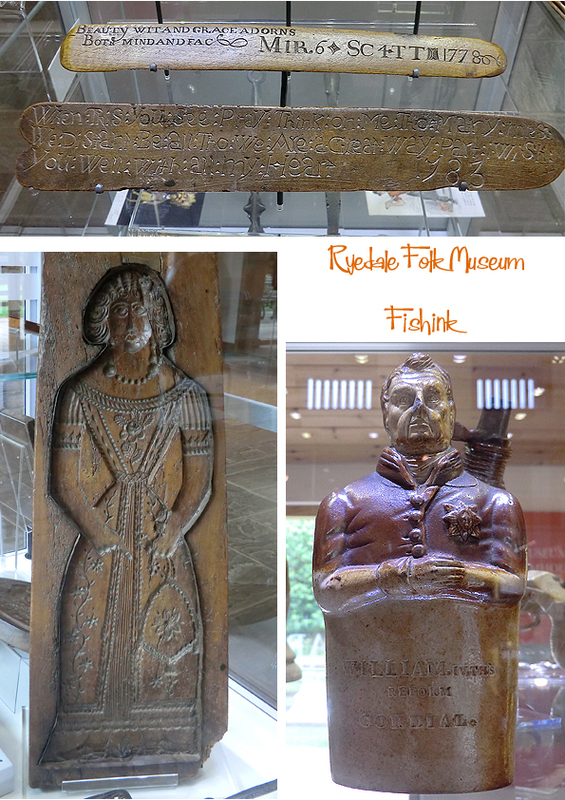 I really, really want that beautiful gingerbread mould! 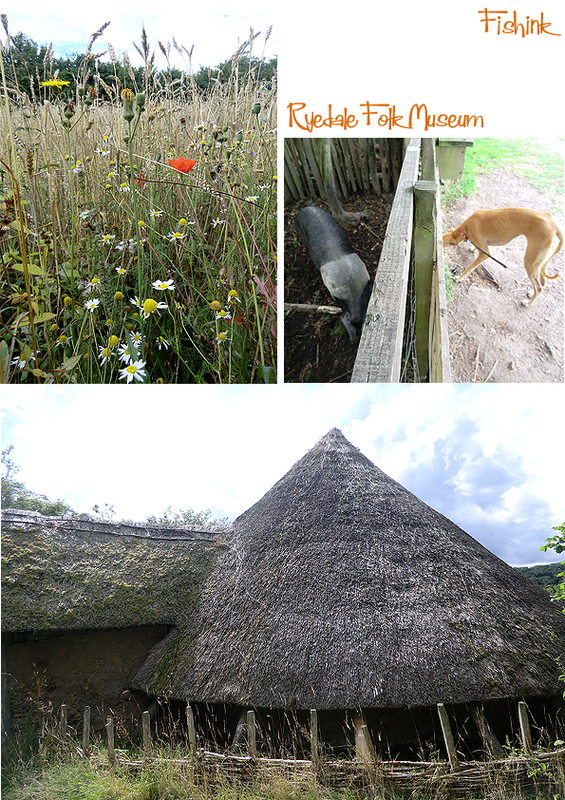 Good to see your lovely dog enjoying herself, sniffing around all the exhibits! lol to be honest I think she was a little spooked by the old houses and no sooner was she inside, she wanted to be outside. Not so interesting for dogs I guess. 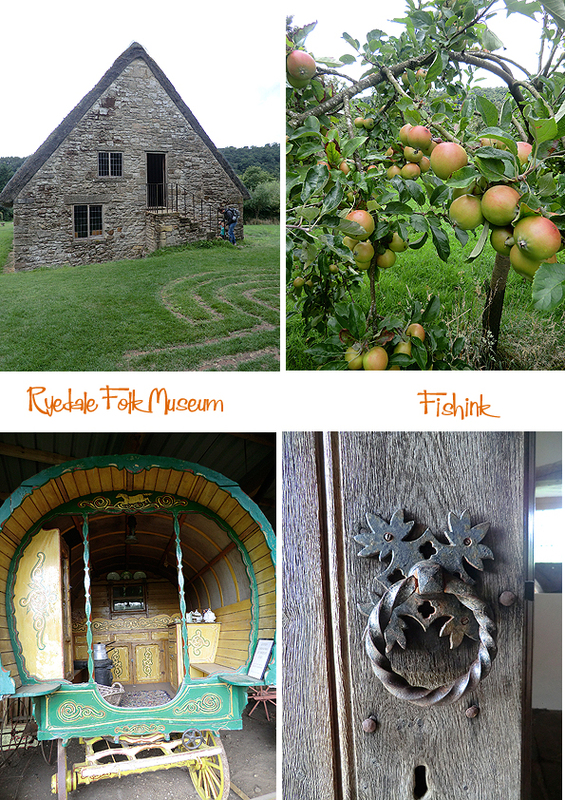 What a beautiful place and such brilliant detailed photos ! Many thanks .